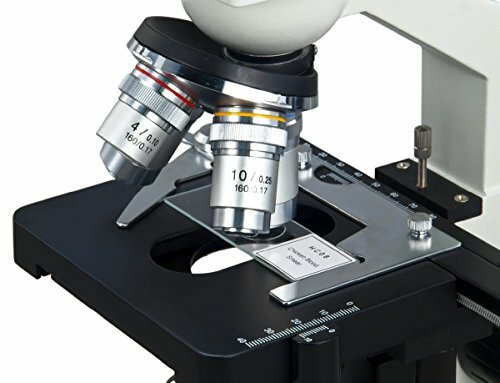 The OMAX 40X-2000X Digital binocular biological compound microscope is designed for the serious hobbyist, science teachers who want to show the microscopic world to a group or class or students or anyone who is interested in the world beyond the naked eye. 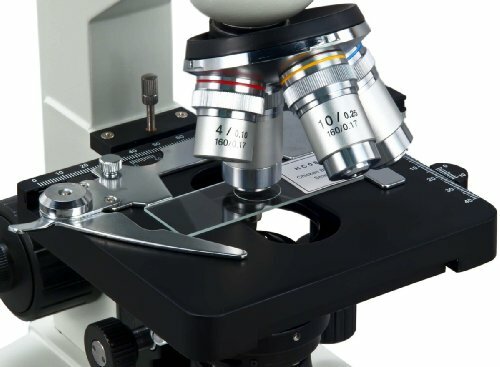 In order to determine if the OMAX 40X-2000X compound microscope will meet your specific needs or wants we are taking a closer look at four different areas of the microscope, design, performance, usability and function. We also rated each of these areas from 1 to 9 based on how well this microscope meets the function for which it was designed. This is a well-designed microscope made mostly of metal with two eyepieces. The microscope has a solid rack and a tight drum and comes with a 3.0MP USB camera. 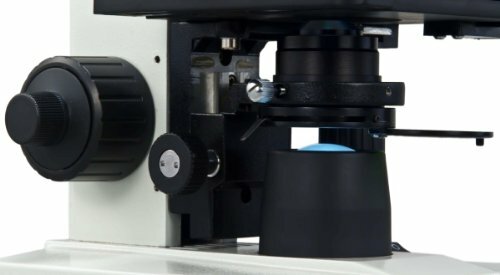 All the parts of this microscope fit smoothly together and is designed so that you can show pictures or videos of specimens under observation. The software is easy to download at least the windows version and users have little difficulty assembly this microscope. We feel this microscope earns 8 out 9 points for it’s solid and functional design. 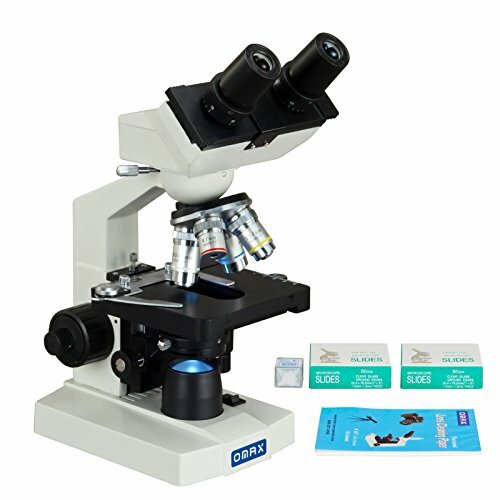 This microscope performs better than expected for a microscope in this price range, which is why we give it 7 ½ stars for performance. The Omax 40X-2000X is easy to assemble and use and most users feel that the optics are extremely good with the exception of the somewhat blurry edges. Most users find that the camera on this microscope takes fairly good pictures and videos making it an excellent microscope for biology reports and presentations. It also allows for the entire family to explore the minute world together without having to take turns looking through the microscopes lens. This is not a difficult microscope to use. It is easy to set up and the CD allows you to download software for windows that operates the microscope’s camera. Most web cam programs will also allow you to use the camera and display the pictures or videos on your computer monitor. While users do state that the lenses are not the very best they do feel that they are good enough to allow them a clear look at a variety of specimens. 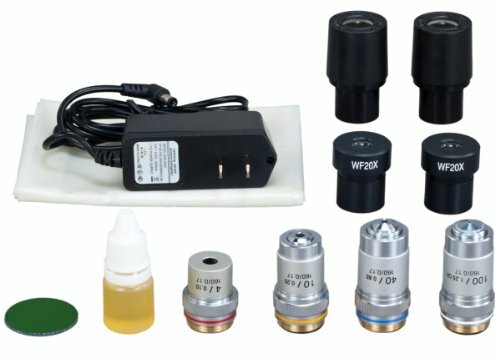 When problems arise users find the OMAX customer support to be incredibly helpful and most feel that using this microscope is both helpful and fun. We are pleased to award this microscope 8 stars when it comes to usability. While the OMAX 40X-2000X is not the best functioning microscope ever designed or made, it is actually well functioning for a microscope is the price point. 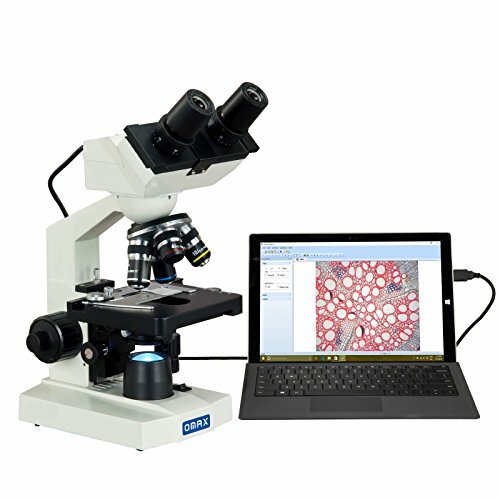 Users find the microscope easy to set up and find the windows software easy to download. However, there is no software for MAC or apple computers although web cam software does function with the camera as well. Users state that the clarity of the specimen when looking through the microscope itself is much better than when viewing on the computer with their camera. They do state also that the while the microscope focuses easily in the center of the specimens the edges are somewhat fuzzy. We give this microscope 7 stars when it comes to function. Easy to set up and use. 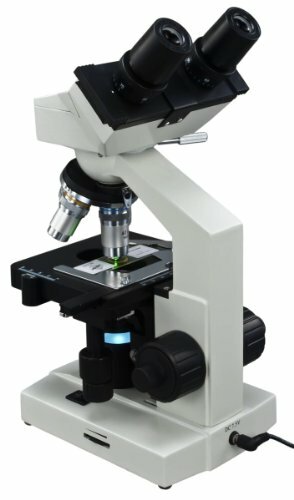 Users find this microscope easy to set up and use, even without the instruction manual for reference. Lots of features. 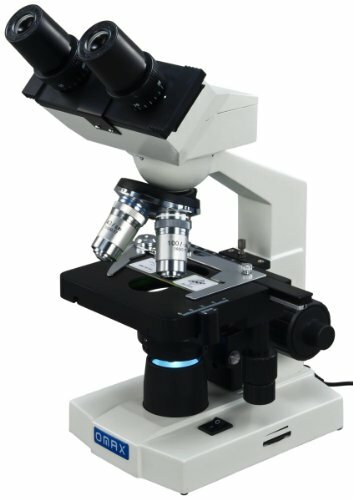 Users find that this microscope has a lot of helpful features from the coarse and fine focus to the camera that allows you to make and show videos of your specimens to a group of people. Fairly good camera. Users find the camera to be fairly good, while not on par with the camera’s on microscopes costing 3 to 5 times as much the camera does a good job of recording your specimen observations. Dust Cover. Users find the dust cover for this microscope to be quite handy in protecting their microscope from dirt and dust. Users did find a few disadvantages to this microscope. 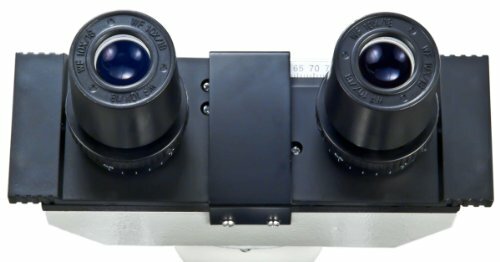 Several users feel that the camera for this microscope is mediocre at best and a few users found that there were spots on their optics that they were unable to correct. Users also felt the fact that the CD software for the camera only worked for windows was also a disadvantage. If you have an interest in exploring the microscopic world for yourself, or want to engage your students in learning more about the minute life forms that cannot be seen by naked eye then the OMAX 40X-2000X microscope may well be a good choice. While this microscope is not suitable for professional use, it is as good as many microscopes found in high schools and even some college laboratories. Although this microscope doesn’t come with any slides it is possible to order both prepared slides and unprepared slides so that you can observe whatever specimens you want. 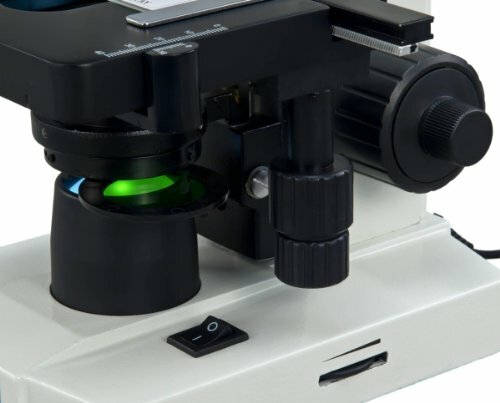 While there are more expensive microscopes that offer higher quality, most users find this microscope adequate to meet their needs, and better than they original expected.